It’s no news that every time BTS (or a member of BTS) drops anything, the fandom goes into a frenzy. That’s why excitement levels heightened, even more, when J-Hope dropped his music video for “Airplane” a day after his mixtape, Hope World, debuted on the Billboard 200 at No. 63, making him the highest-charting K-Pop solo act in the chart’s history. 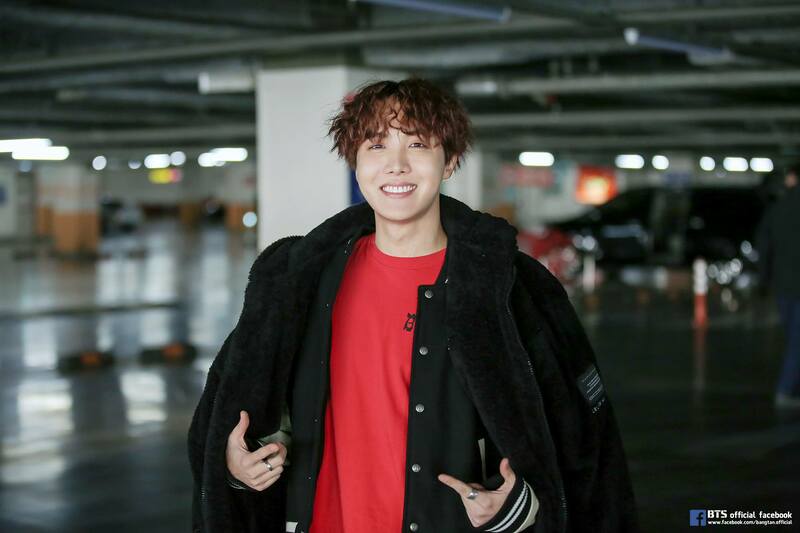 A contrast to preceding music video “Daydream”, “Airplane” is a dreamy Hip-hop song that encompasses J-Hope’s youthful emotions about his success. “Airplane” feels like an embodiment of J-Hope’s personality. There’s an interesting balance of pride and humility, as well as harshness and courtesy; while J-Hope proudly proclaims his success, he also remembers his roots and the effort it has taken for him to reach one of the high points in his career. As he calls his haters jealous, he follows up by offering them his extra mileage points. It’s difficult to call his rap harsh when he offers mileage and champagne to his haters, but the subtlety of his disses are what makes the song so great. Unlike fellow BTS rappers RM and Suga, J-Hope is less explicit in his words. While the former rappers’ disses hit you like a truck, J-Hope’s cleverly intertwined gibes take a moment to settle in. By the time the crafty jab settles in, J-Hope has moved on to the next line, leaving you behind like you were two-thousand-and-late. It’s when I’ll console y’all who couldn’t make it. I’ll gift you with those fly points. All my concerns are off, no matter who says what. In a V Live video about Hope World, J-Hope explained that “Airplane” was an especially meaningful song, because wanting to fly around in an airplane had been a childhood dream of his. What he had only fantasized about had become reality — “Now I fly all I want, on the airplane”. J-Hope brings about parallels about his dream of flying being an entertainer being high and unattainable and an actual airplane flying high above the sky. The freedom and gratefulness that J-Hope feels by getting the opportunity to travel while making music is shown expertly through the multiple scenes of negative space. Standing on rooftops and amongst the clouds, with nothing but the wide expanse of the sky, is a slick way of showing J-Hope’s sense of contentedness and reprieve from the burden of not being able to accomplish his dreams or the comments from his haters. For those familiar with BTS’ music videos, the negative space and recurring airplanes have striking similarities to “Young Forever”. Perhaps that was because GDW was the director of “Young Forever” and the producer for “Airplane”. J-Hope’s inspiration for “Airplane” is also made obvious in the music video. In the aforementioned V Live video, J-Hope mentioned the inspiration for the lyrics hit him as he staring out the night sky, listening to the instrumental of “Airplane” while flying. There are repetitive scenes of the night sky, even though the lyrics talk about him running as he stares into a blue sky; it’s good to see that J-Hope had creative control in the execution of his music video as well. Another neat trick that was used was J-Hope having multiple shots looking down. This gives off the impression is J-Hope is higher up and flying “above the clouds”, as he sings. He’s above his problems, his doubters, and high enough to reach his dreams. The only qualm was the excessive spinning of the camera. Though it’s understandable that the technique increases the intensity and makes the video more exciting, the spinning shots felt redundant at times and felt slightly jarring, especially so upon repeated viewing. It’s also pleasant to hear the BTS members being featured towards the end of the song. J-Hope mentioned that his dream of flying around, being able to meet other celebrities and working on music wouldn’t have been possible without the other members of BTS. Knowing the reason, it does the make the song slightly more sentimental to the fans. It’s a delightful testament to the members’ friendship and camaraderie that J-Hope wanted to include the other members to signify their importance in his life, especially because he acknowledges his current life as one of the higher points of his career. All in all, “Airplane” was a wholesome track that conveyed J-Hope’s emotions and helped bring forward his another side of him from the album. Personally, the song hadn’t captivated me as much when I first heard it, with the edgier tracks such as “Hangsang” and “Base Line” capturing my attention. With the music video and J-Hope’s explanation of the significance of the lyrics, though, I felt a greater draw to the song and both the song and music video are now a personal favourite.